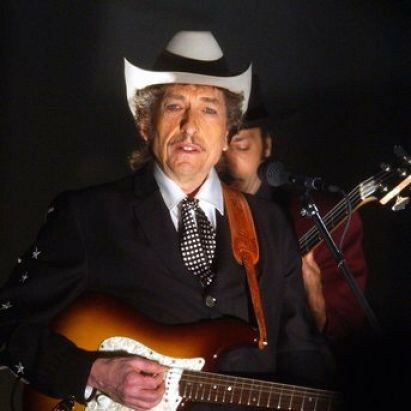 Now and forever when you click on a Bob Dylan video and see the name “Nash Edgerton” you’ll think “should I actually watch this?” This is the same guy who directly the ultra-violent video for “Beyond Here Lies Nothin’”, and now here he is back again. Directing a Christmas video. Yikes! With this one, yes, you’re pretty safe. Actually, there is some violence to it. 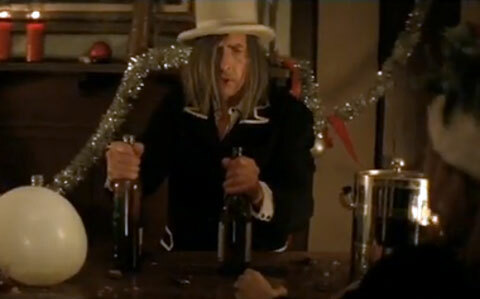 The whole video is set at a drunken Christmas debauch somewhere in the south. David Hidalgo is back for the second album in a row cranking on that accordion, and Bob Dylan, who didn’t even meet Edgerton for their previous collaboration, is here in a cool jacket, white top hate and, for some reason probably known only to him, a long blondish wig. Whatever. The video is pretty chaotic – a lot of quick swish pans and running around. There are people everywhere and for some reason a fight breaks out. This is actually a lot like Christmas at my house, particularly if the Rossos come over (still reading, Marc?). I like the video. I like Santa and Dylan at the end. And I like the song , I think it is the most fun song on the whole album (about which, more tomorrow). I’m giving this a thumb’s up. Dylan has really stepped up the quality of his music videos, and that’s a good thing.